Was it worth thirty bucks? That's what I paid on Amazon and I think it probably was. Honestly I don't think I would have bit at full retail ($39.95), but even at the discounted price it still took me a few days to pull the trigger on Errol & Olivia: Ego & Obsession in Golden Era Hollywood by Robert Matzen because I was unsure of the format. To me that's a lot of money for 224 pages. I'd rather put $30 towards a pile of used older titles, like those I touch on below, then stake it towards a slim new volume looking at a subject I knew it'd be easy enough to screw up. I rolled the dice and turned out very happy with the presentation. 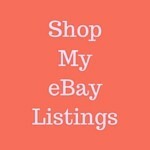 It's a large hardcover offering with slick glossy pages and beautiful photographs throughout. Yup, slick and glossy. I suppose it's more coffee table book than anything else, information which would surely make for some extra sales if noted on Amazon and other sales outlets. I come away from the content shaking my head a little, not so much because it was bad, it's not, I just didn't care so much for the voice delivering the story. The facts are there, the presentation is gorgeous, where it fails, and this is entirely subjective, is in the delivery. Something about Matzen's voice rubbed me wrong throughout. His constant reference to De Havilland as Livvie struck me as an intimacy that if he had earned then I had not. A small point, but if the third or fourth Livvie rubbed me the wrong way, imagine how I felt on the 164th such reference. It was maddening. Yes, maddening, that was me. That's a trick Matzen employs throughout, the italicized editorial, except such asides are most often supposed to come across as thoughts Flynn, De Havilland, or other participants such as Hal Wallis or Jack Warner would likely have at key and apparently undocumented points in time. The problem was that sometimes they came across as seat straightening quotes and other times as wishful thinking, though in the end a little voice inside my head triggered saying, "Oh, here's what the author thinks that Flynn thinks." Finally there were the photo captions which were imaginative if not over the top--it's not as though I'm one to blush, but couldn't De Havilland have just been a plain tease instead of a much stronger type of tease, a term exciting the author so much that it was used twice, once as a photo caption and again inside the main text. That's not to say Errol & Olivia is trashy, in fact if it was then the mildly offending term would have blended in much better. As it is it stuck out enough for me to be shaking my head a week later, so hey, maybe I'm the one with the problem. But the main flaw of the captions are their creativity, stretching well beyond a bare bones description of the photo and often going so far as to describe the thoughts of the subject at the time the picture was snapped. What's good about Errol & Olivia, very good in fact, is the compilation of multiple sources into a single flowing and targeted narrative. Even if you've read My Wicked, Wicked Ways and supplemented it with the full spectrum of Flynn bios plus the small handful of De Havilland titles issued throughout the years there's likely something new for you here because Matzen has raided the Warner Brothers Archive and incorporated several actual conversations from the production notes saved in that vault. I had accessed those Archives myself about a year ago for all of their Warren William holdings so I was familiar with their style. Actual quotes from names such as Wallis and Warner, R.B. Obringer from the W.B. legal department and others, made them especially stand out for me in this text. These notes are both a blessing and a curse, though much more blessing, because they can bring out vital hands-on details about a production but at the same time they're limited to the voices of the production team and studio upper echelon. Typically the only mention of the actors appears to be in logging their misbehavior, at least that's what I'm going to assume based upon the notes I have on William in conjunction with the notes included here about Flynn and De Havilland. I get the feeling that these notes leave the stars looking a little more petty than they actually were. Imagine logging the daily misdeeds your own co-workers or employees. If they don't keep a similar diary history is going to look a little lopsided. 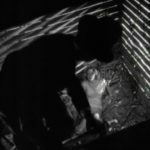 Anyway, Matzen weaves together previously available information with the Archives well. There aren't many new and original voices called into the story, since most of them, with a couple of obvious glaring exceptions, are gone now. The story is told chronologically and I'd say I was finally swept me in around the middle of the volume where he wraps the more chaotic day to day production at Warner Brothers around De Havilland's involvement away from the home studio with Gone With the Wind. That was very well done and I was willing to overlook any further petty annoyances after getting through the section. In the end the closest I can come to putting my finger on what bothered me about Matzen's style was that it was just too breezy, too conversational. All that Livvie. And especially the asides. Sometimes it felt more like a long, well-researched blog post than the book I'd hoped it be. A little chatty. Here's my own little aside. Having completed my first draft of this post I see that Raquelle from Out of the Past has posted her review of this title--do check it out, much heavier on the details of the actual contents of the book though written with similar mixed feelings. 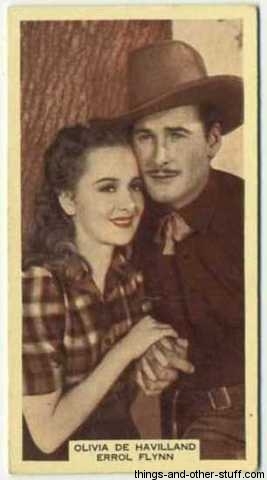 Anyway, Raquelle links over to the official Errol & Olivia blog, which I did not know existed until just now. 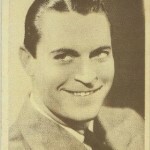 The ironic thing is I much preferred the author's blog voice to his book voice--I've bookmarked the Errol & Olivia blog and hope for more posts! If you reach the end of Errol & Olivia and feel a little frustrated like I did then I'd suggest you turn to the front and read Matzen's Prologue once more. As he mentions this would have been a very different book with Olivia De Havilland's participation, and yes, he suggests he might have become handcuffed in delivering the facts had his volume carried De Havilland's stamp of approval, though I must also assume any book carrying such a stamp is going to dish enough previously unknown facts to make some loose restraints well worth while. It's been rumored so long who knows if Olivia de Havilland will ever tell all--or at least tell more--but until then Matzen has accomplished sewing up the loose pieces told across the past 75 years. In the end I'm glad I spent the 30 bucks. While I wouldn't buy another book by Matzen based on his name alone, I very likely would do so if he again selected subject matter I cared about. If I went over to Amazon to rate Errol & Olivia based on their 5-Star system I'd probably press a 3, maybe even a 4 if I actually liked coffee table books. Ginger, Loretta and Irene Who? by George Eells, 1976, G.P. Putnam's Sons. 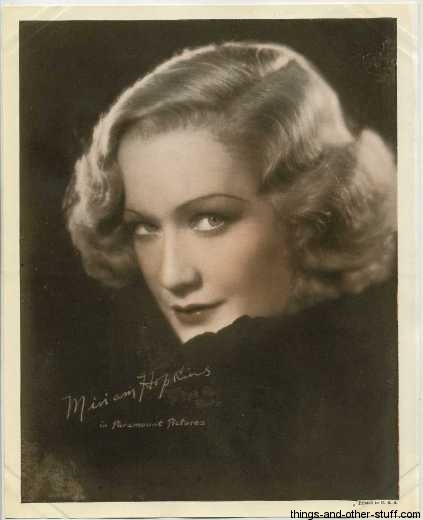 I took a flyer on this one solely because it had a section on Miriam Hopkins, who deserves more coverage than she gets and so I was happy to finally find some. I was disheartened to receive a mass market paperback with a Rona Barrett blurb on the front cover, but I flipped to the Hopkins section and was immediately surprised. 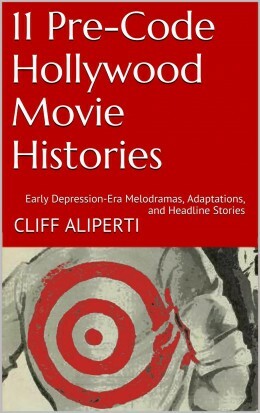 Eells' book, 300 pages of text plus nearly 140 more of appendixes mostly composed of filmographies, covers not only Hopkins, but five other women who found themselves in Hollywood on New Years' Eve, 1933, each of whom went on to have very different careers. 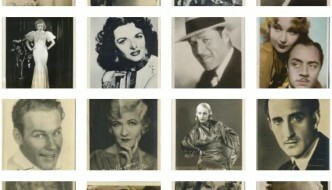 The others: Ginger Rogers, Ruth Etting, Kay Francis, Loretta Young, and Irene Bentley, the last of which being the who? of the title. Bentley's inclusion was a bit of a cheat as Eells never could discover what became of her, yet it's a fun cheat because he closes the volume with ten pages describing a chase littered with dead ends before finally settling for his own speculation on what drove Ms. Bentley from Hollywood. I read Ginger, Loretta and Irene Who? out of order and quite honestly still have to finish the Loretta Young section, but after Hopkins I skipped to the front of the volume to read the Ginger Rogers chapter. I did this because I'd finally read Rogers' own autobiography earlier this year and was curious to see how Eells covered her career figuring it would give me some clue as to the accuracy of the Miriam Hopkins section. 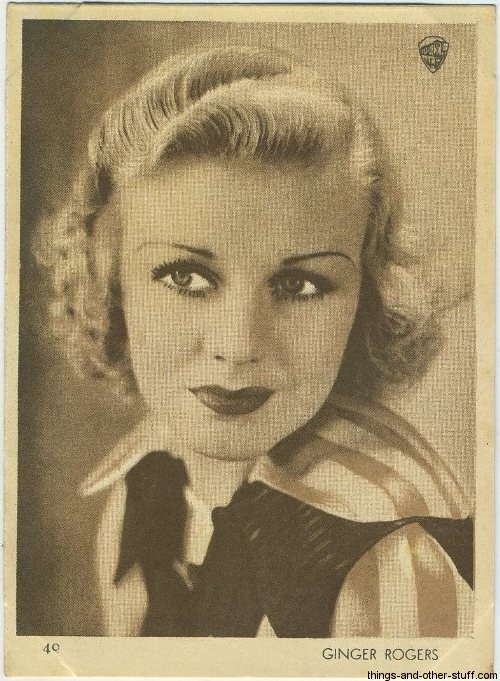 I was impressed to find his coverage of Ginger Rogers matching what Rogers would dish herself a few years later, minus an ego which I've remarked began to grate on me, plus a few warts that were respectfully unveiled. Ginger, Loretta and Irene Who? was a nice find because the Amazon review section has but one remark which turned out trustworthy. It was much more than just the skim on Hopkins' career I'd expected. Prior to that I read Rudy Behlmer's Memo from Darryl F. Zanuck: The Golden Years at Twentieth Century Fox , which has it's own fair share of italicized asides but here they fill in the factual blanks. This fascinating volume is filled with letters and memos written by Zanuck himself from between the years 1935-1956, when he was in charge at Twentieth Century-Fox. Completely one-sided by its very nature it's amazing to note the detail Zanuck includes which more or less sketches out any previous correspondence he's replying to with the addition of his own solutions and opinions in defense of his typically strong stances. When any confusion as to players, dates, or titles arise Behlmer fills in the blanks with his italicized notes, either inside Zanuck's original text or appended to the end of the original memo. Anyone with an interest in the Golden Age at Twentieth-Century Fox must have this one on their shelf. 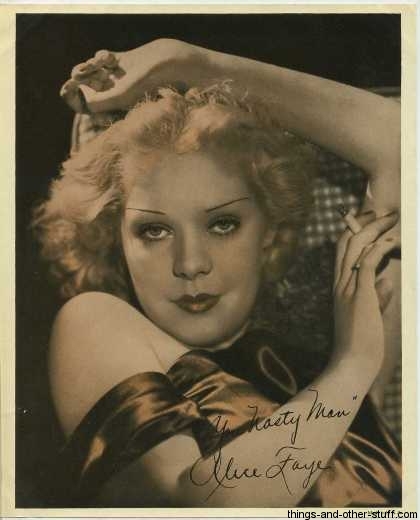 Working backwards from memory, and so becoming briefer as we go, I was a little wary of the 2002 Alice Faye biography by Jane Lenz Elder after opening my package to find that Amazon had delivered a matching volume to Matthew Kennedy's 2007 Joan Blondell: A Life Between Takes. Both were published by University of Mississippi Press and while there's actually nothing wrong with the Blondell biography I'd been left a negative impression because I'd read it right after completing Blondell's own Center Door Fancy, a thinly-veiled autobiographical novel, which felt a little too heavily relied upon as the main source material for A Life Between Takes. I was very happy with Elder's Faye book though, finding it a heavily sourced biography which really read like a labor of love. That last point likely being the main flaw as well. 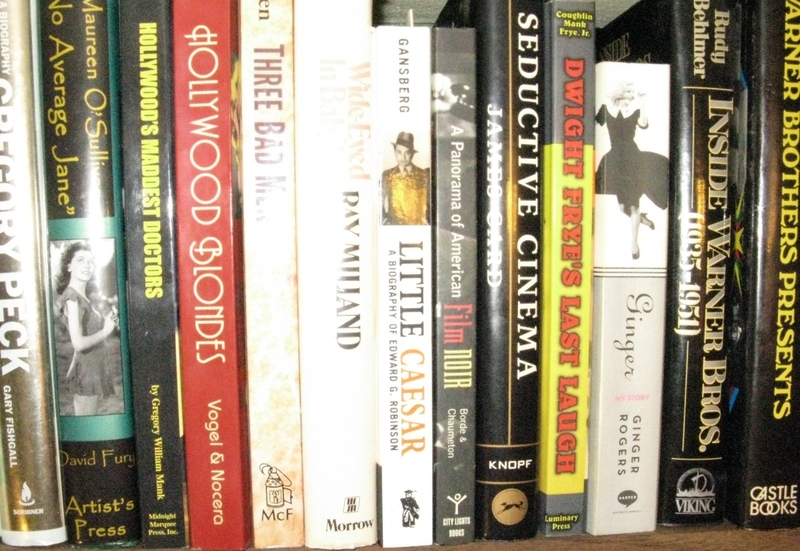 My shelf had been empty of Alice Faye info, the Elder title fills that gap and then some. Finally our fifth title, 1991's Evenings With Cary Grant by Nancy Nelson. All of the books I've mentioned here have actually been biographical, but what's interesting was that each done in a very different style. No difference with this last choice, Actually the subtitle, Recollections in His Own Words and By Those Who Knew Him Best, sums up this book very well. Nelson had arranged and booked Grant's speaking tours later in his life after gently twisting Grant's arm to get him to agree to these events in the first place. 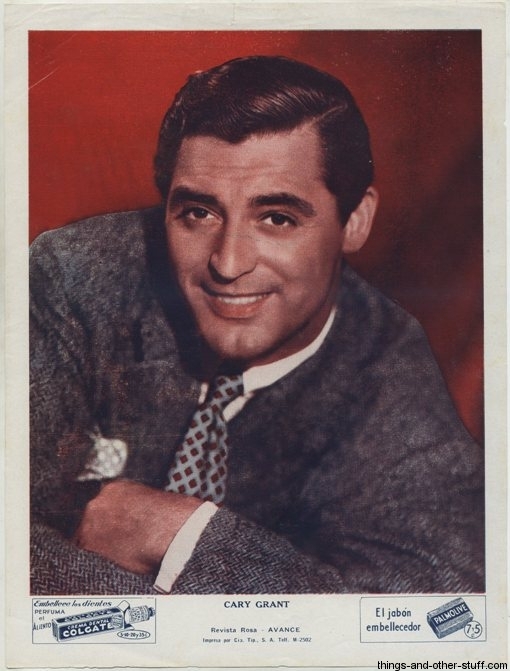 Besides having this friendly personal contact with Cary Grant herself, Evenings With Cary Grant has the backing of and a brief forward by Grant's wife, Barbara Harris, and his daughter by Dyan Cannon, Jennifer Grant. The timing of the book is perfect as it allowed Nelson to communicate with and compile an acknowledgments section including a wide variety of Grant's contemporaries and friends. Direct quotations are set off in the text with a capitalization of the speaker's name, a sort of name-dropping within the text which works quite well considering how well known the subject is himself. Oh, don't look for anything negative here, this is a celebration, but filled with so much fact and in the end so personal to Grant that I found his voice ringing through my head as though, yes, it were a conversation with Cary Grant. Very effective and well done. Assuming I do another one of these round-ups anytime soon I thought it'd be fun to state what I was set to read next. Right now it's a toss-up: I couldn't resist picking up Featured Player by James Curtis, another unorthodox biography published 1996, which is basically a long transcribed interview with an elderly Mae Clarke. 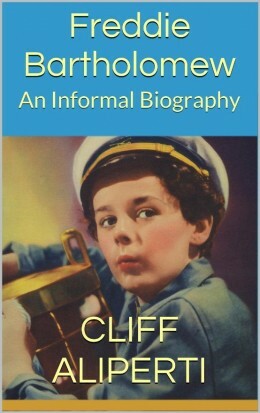 Curtis also authored a W.C. Fields biography that I enjoyed and have mentioned elsewhere on this site. And perhaps because she came up so much in my recent Rochelle Hudson research I also ordered Lucky Stars: Janet Gaynor and Charles Farrell by Sarah Baker from BearManor in 2009. Strong and seemingly helpful Amazon reviews have me excited to give this one a try. Note: Upon arrival of Lucky Stars today I thought it was pretty neat to see several rare Janet Gaynor images contributed by Immortal Ephemera customer and past contributor Gina LoBiondo - impressive stuff, Gina! It does sound like we share a lot of the same feelings about the Errol & Olivia book. 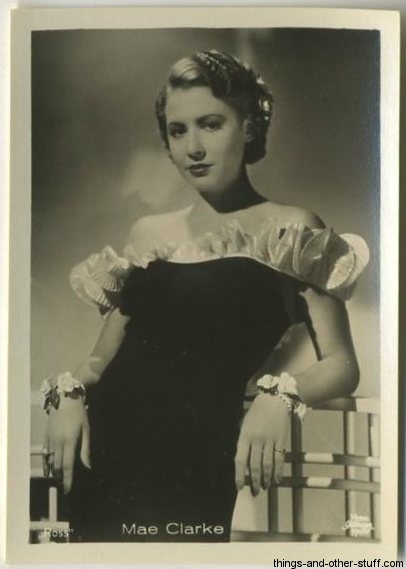 I do remember the 2 mentions of Olivia de Havilland as a ____ tease. Perhaps she was but that does dehumanize her a little bit. 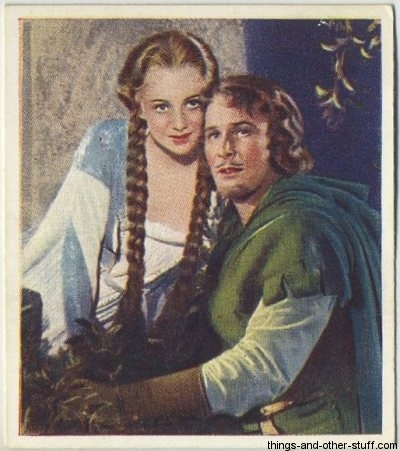 I did however enjoy the story about how Olivia got back at Errol for upstaging her in The Adventures of Robin Hood. I didn’t even think about the Livvie thing. Yes it is familiar and informal. And he states in the intro that he doesn’t have Olivia’s help in the creation of the book because she had a loyalty to someone else who wanted to write her story. Seems to me like we are never going to get an Olivia-approved book and her memoirs that she has been postponing forever, I’m not waiting with baited breath for that either. How does one access the Warner Brothers Archives?!!! I’ll be a little more frank in the comments since they don’t mail out to unsuspecting subscribers–it felt like the writer was in love with Livvie but that he got a little frustrated, perhaps angry with her, along the way when he discovered she was a little looser than expected. 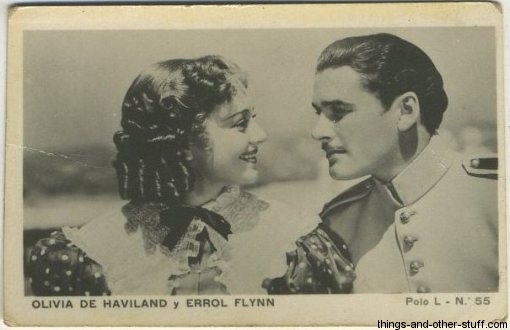 He felt very close to De Havilland, though somewhat distant from Flynn, that was my take. Also, yeah, that Forward, I got the impression he was damn proud that De Havilland was caught reading his previous book, and fully expects she’ll read this one too. Well, more than an impression there, he’d mentioned something about pinning up a photo of her to admonish him if he went too far (an image I really liked, that made me chuckle). So perhaps all the Livvie’s are a way of personally addressing her throughout the text while passing on a familiarity to us as readers as well? I just wasn’t comfortable personally with that intimacy. Hopefully what I wrote above makes clear that I didn’t love the book, didn’t hate the book. Perhaps I should have added this: it felt like it was caught somewhere in between wanting to be a coffee table book and an academic work. It was researched like the latter, presented as the former. The woman is 94 years old, I have to assume if we’re ever going to get something direct from her that it’s been done already whether in actual manuscript form or perhaps piles of notes, scraps, etc., that somebody close to her will put together after she’s gone. Whatever the case, anything that ever comes with her direct seal on it is as good as pre-ordered immediately! I’ll DM you more details about the archives later this evening.